All dogs occasionally act up, but sometimes persistant bad or irritating behaviour needs a little extra help – this is where dog training collars can come in! Perhaps your dog hightails it out of the door everytime it opens, or barks and whines all night long? There are a number of different types of collars for different types of unwanted behaviour. When picking a canine collar, it’s important to select the right size unit. It shouldn’t be too tight or too loose – after measuring your dog’s neck size, you should add 1-3 inches based on its size. If it’s too loose, your pet could pull the collar off, and if it’s too tight, it could experience discomfit, pain, hair loss, and skin infection. There’s an easy way to test the collar’s fit. Slide two fingers under the collar. It should feel snug yet not tight. This test helps to ensure your canine’s neck won’t be uncomfortable yet it also won’t have too much wiggle room. You can choose from a wide selection of collars but its essential to remember that proper use is crucial. No one wants to cause their dog pain so it’s important to match your needs to the correct type of collar. If you walk your dogs early morning or at nighttime, then this is a good option. Reflective/light-up collars are a must-have in terms of safety. This is especially true during Daylight Savings Time. You might be unable to adjust the time you walk your dog at night. So an LED/reflective collar can be effective in keeping your dog safe. You want the best for Fido or Daisy, so this is a good option for nighttime dog-walking. This type of collar has a snap that’s easy on/off and ideal for playful puppies. If you’re looking for a good collar for wrestling dogs or ones going to doggy daycare, this is it. The reason is if there’s a rumble or accident a human can remove the collar easily. This is a traditional style with a buckle and notches. Think of it like the belts humans wear around their waists. This collar style is typically sturdy and will stay secure on your doggy. There’s little chance it will accidentally get snagged off. So this is a good choice for dogs that hike and swim. This is a double-loop collar that’s built to tighten whenever the canine pulls away. The plus is Martingale collars are less likely than spike, chain, and slip leashes to cause your dog to choke. 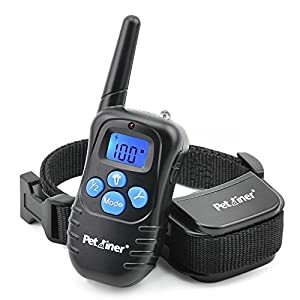 So if you’re looking for a collar for dog training, this is a good option. These are gentle yet efficient collars that loop around the mutt’s snout to apply a little pressure when they try to pull away during walks. That said, due to the placement, only a little tension is required for the pooches to correct themselves. 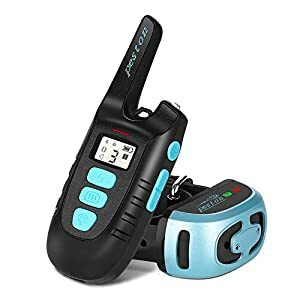 This is a good option for puppy owners and especially if they’ve tried other options and they didn’t work. One of the tough issues about halters is they can be difficult for some dogs to get accustomed to. These collars are built to pop off your mutt if they get stuck on something or pulled. This helps to prevent several situations when dogs are playing in your home or outside. It’s especially effective if your dog is home alone sometimes since it helps to prevent choking. These collars include a buckle that is released when pressure is applied. It results in the collar falling off, which eliminates the safety issue. These items aren’t collars per se, but they’re a good option for walking your dog. Harnesses allow humans to sustain control while not placing strain on the mutt’s necks. If the harness fits well, it will remain on the dog’s neck. Do harnesses have any downsides? The main one is your dog might be encouraged to pull and mainly if the clip is located on the back. So it’s better to look for a front-clip harness. You should also avoid putting the harness on your dog all day/every day since the straps can cause irritation. 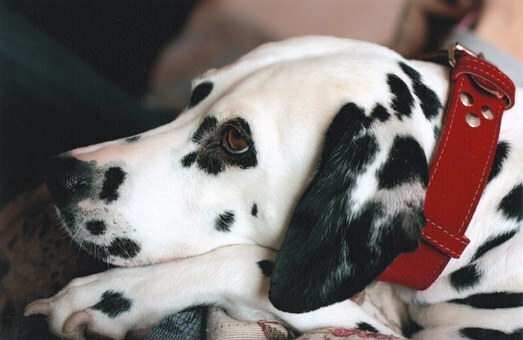 A dog-training collar can be effective for teaching good behavior to your canine. In fact, several types of training collars are available. Some people argue positive reinforcement training is better. The problem is dogs like people can forget stuff. A training collar can help to work with training. For example, after training your dog to stay inside the front door, the collar can be a friendly reminder to stay in the house instead of chasing a squirrel in the yard, for example. It’s important to pick a collar that’s best for your dog’s needs and situation, we have selected our favourites here and if you still want to see more options you can visit our full product page – Dog Training Collars. 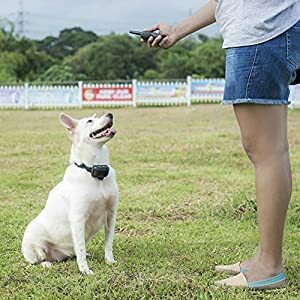 This Dog Collar has a remote control with a 330 –yard control range. There’s also a water-resistant receiver, so it’s protected from a moderate amount of rain like during rain showers. It can fit all dogs and is ideal for 11.5 to 18.5-inch dogs. The ergonomic transmitter is comfy for your doggie to wear. They’re also more visible with the champagne color. This dog collar includes 3 operating modes including LED Light, Vibration, and Safe Beep. There’s Static Vibration with 100 levels. The Dog Training Collar includes LCD Backlit Display that’s built for day/night. The LCD screen is easy to read and shows control levels. The dog collar must be charged 3 hours the first time. Afterwards, you’ll just have to charge the unit for 30 minutes 1x/week. This unit also includes a 2-year warranty and quality customer service. 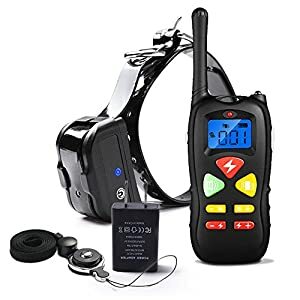 This dog collar provides three very effective training modes (beep, vibration and shock)The intensity can be adjusted which allows your dogs to learn without their bodies or confidence hurt. This dog collar is universal for all dogs. The anti-bark collar is adjustable for dogs of all sizes ranging from small, medium, and large. That includes dog ranging from 6 to 120 pounds and neck size ranging from 5cm to 65cm. There’s a sturdy snap-clasp, so it’s quick/easy to put on/take off. The collar provides a range for up to 1500 yards so you can correct dog behaviors anywhere. This helps to deal with behavior like biting, barking, chasing cars, jumping people, running away, etc. The dog charger is rechargeable and waterproof and it still works correctly after a 10-hour immersion factory test: the E-collar in a 1 meter deep pool. It means dogs with the collar can still swim or bath freely in water. It also includes an IP67 waterproof housing. This allows your dog to wear the collar on sunny and rainy days. 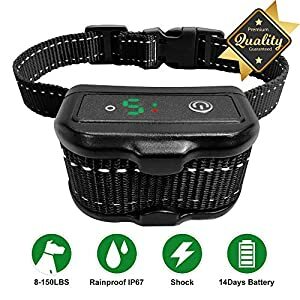 This dog training collar is attractive and durable but lightweight. The dog collar uses progressive training. The PetMania collar includes 7 levels for safely/effectively stopping barking. This dog training collar is safe, effective, and humane. That’s because it doesn’t produce any shocking. It instead uses vibration/high-frequency sounds to stop barking. This doesn’t cause any distress or harm to your dog. This dog collar is designed for dogs ranging from 5kg to 50kg and neck sizes from 7 to 22 inches. This lets you tweak for any dog breed. The company focuses on customer loyalty. You can return the collar within 60 days due to the money-back guarantee. The company responds to requests within 24 hrs. This dog collar is very easy to operate. It contains modes including Continued Vibration/Instant Vibration/Beep. Grades 1-5. Recognizes your dog’s own bark so dosen’t accidentally trigger other nearby dogs. The remote control works for distances of a maximum 550 feet. This allows you to train your dog outdoors, which is a plus. The dog collar is humane and dog-friendly. It doesn’t provide any arm to the dog through painful shock. It’s also waterproof. 10-14 days of use with just 2 to 2.5 hours of charging. The LCD screen shows the remaining power and working status. The auto sleep mode provides power saving when you’re not using the collar. The collar can charge up in 2-3 hours. You can track your doc easily in a dark environment. 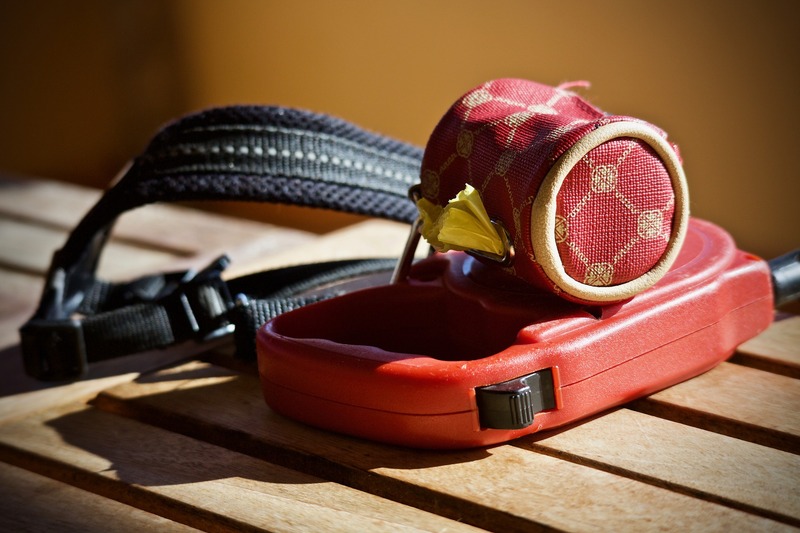 The collar strap also fits dogs ranging from 7 to 120 pounds.